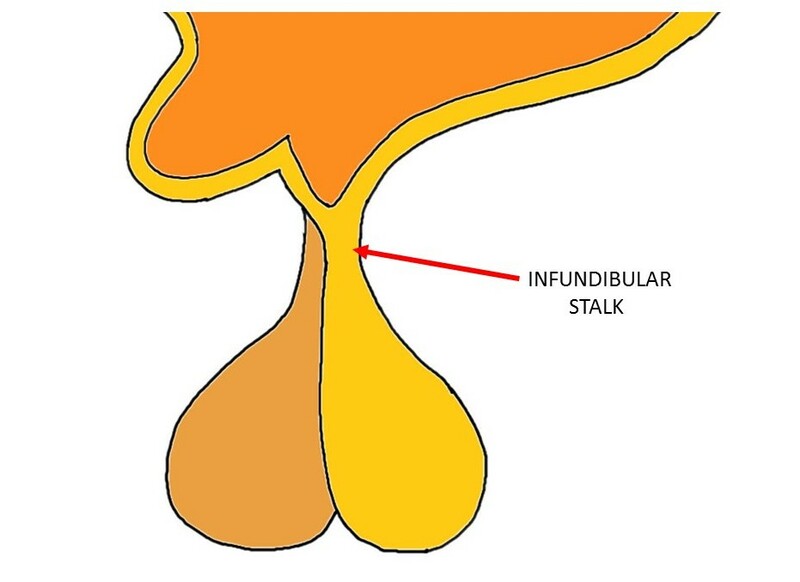 AKA infundibulum or pituitary stalk, the infundibular stalk is a tube-like structure that connects the posterior pituitary to the hypothalamus. It allows for hormones synthesized in the hypothalamus to be sent to the posterior pituitary for release into the bloodstream. Watch this 2-Minute Neuroscience video to learn more about the pituitary gland.